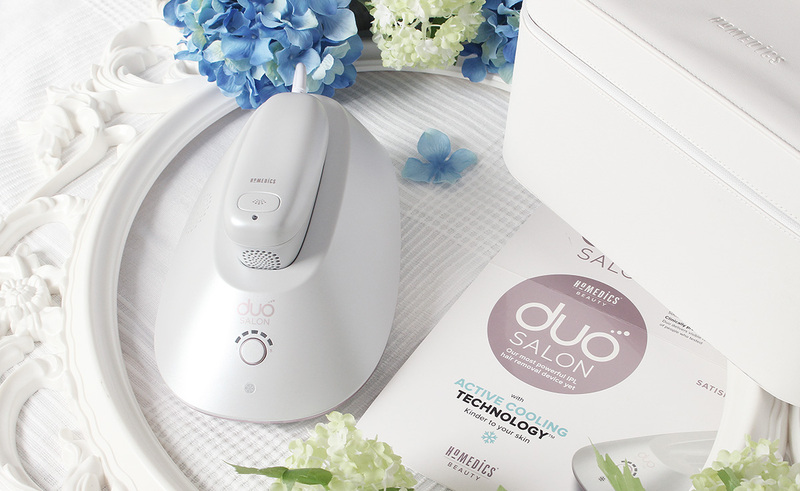 So it's finally time to share my final thoughts on the HoMedics Duo Salon* device and I am so excited to tell you all about my results after 10 weeks. I have been using Duo Salon every fortnight, which means that I did 5 sessions in total during the 10 week period and I am pretty impressed with what I managed to achieve. I focused on my legs, especially the front of them where the hair is very dark, thick and visible. I used the freeglide mode on level 2 each time and it was very easy and less time consuming than what I experienced with my previous IPL device. It was also completely pain free and the cooling sensation made the process even more pleasant. As you can imagine, it's all about consistency when it comes to IPL, so if you want results, you have to do your fortnightly treatments for a while. It helps to catch the hair at the right growth stage and you will see it disappear in no time. The device is super easy to use and the instructions explain everything really well, so you will feel at ease doing your treatments in the comfort of your own home. And think about all the money you will save, compared to the price of salon IPL. So, the big question... Did I see any results? Yep! After only 5 treatments, the hair on my legs is visibly thinner and more sparse and I have some patches with no hair whatsoever where I managed to catch it at the perfect time. I have to work on my knees a bit more and on my lower legs, just above my ankles, as the hair there seems to be a bit more tricky to get rid of. Overall, around 40% of the hair is gone and I am really looking forward to continuing using the HoMedics Duo Salon. It's fantastic and I would definitely recommend it. I can't actually imagine having completely smooth legs all the time, but it could become my reality soon. So exciting! You can buy the HoMedics Duo Salon from www.homedics.co.uk and from Argos. Have you tried at home IPL?